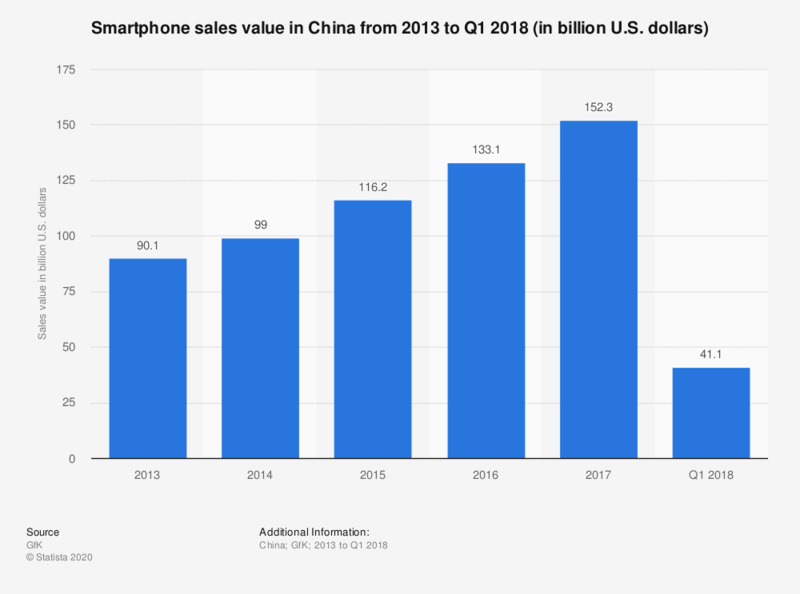 The statistic shows the value of smartphone sales in China from 2013 to Q1 2018. In Q1 2018, the revenue from smartphone sales in China amounted to 41.1 billion U.S. dollars. Everything On "Smartphone market in China" in One Document: Edited and Divided into Handy Chapters. Including Detailed References. Which devices do you use to buy food online?